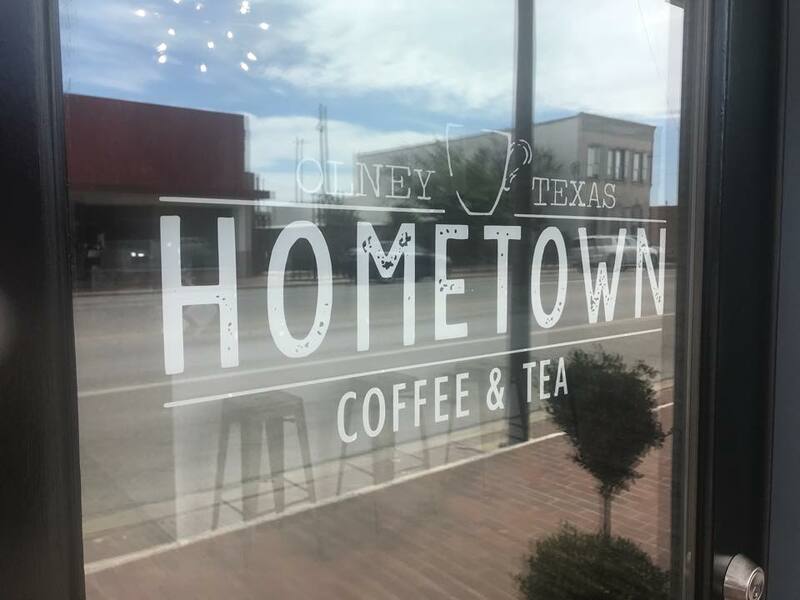 We’re excited to welcome Owners Jake and Holly Bailey and their team at Hometown Coffee And Tea to Crimson Cup! 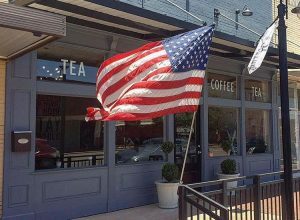 The shop at 117 East Main St. in Olney, Texas held its grand opening on June 26. It is one of at least 18 new independent coffee shops scheduled to open in 2018 through our 7 Steps to Success coffee shop franchise alternative program. With experience as a teacher, coach and stay-at-home mom, Holly Bailey wanted to create a place where people in Olney could gather to build community. While researching how to open a coffee shop, the Baileys discovered Crimson Cup on the Internet. “We were sold after we read Greg Ubert’s book, 7 Steps Success in the Specialty Coffee Industry, and then traveled to the Crimson Cup Innovation Lab in Ohio,” Holly said. 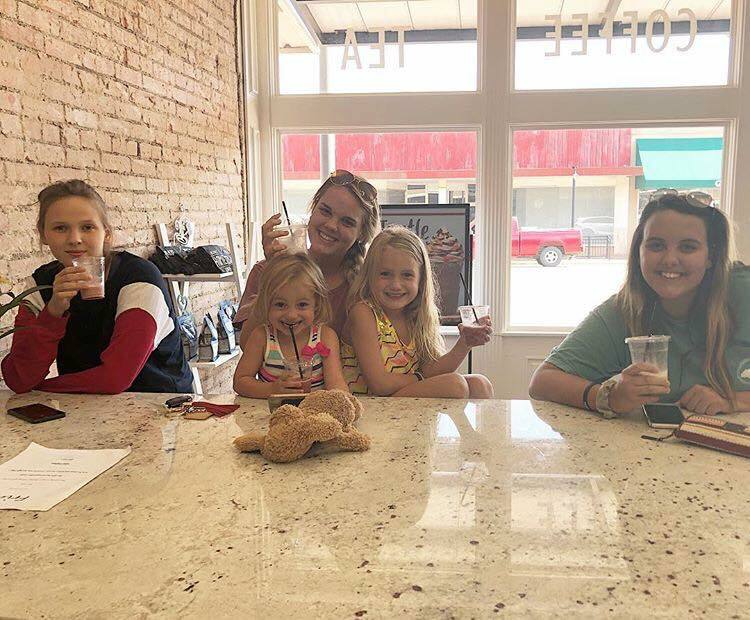 They received training and other support to open their coffee shop through our 7 Steps to Success program, which has helped hundreds of independent coffee shops develop into thriving businesses over the past 27 years. 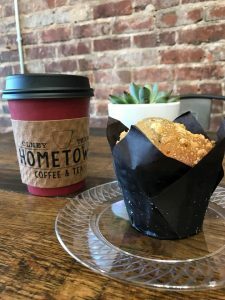 Located in downtown Olney, Hometown Coffee And Tea serves a full menu of hot, iced and frozen espresso drinks – including mochas, lattes and cappuccinos – as well as iced coffee and tea, cold-brewed coffee, hot chocolate, fruit smoothies and other custom drinks. Locally baked cookies and pastries round out the menu. The shop serves Crimson Cup coffee, roasted in small batches at our headquarters in Columbus, Ohio. “Our customers rant and rave about how amazing our products are,” Holly Bailey said. “We get at least one comment a day that ours is way better than our competitors. They say ours is so smooth and doesn’t taste burnt. “My own favorite drink is the Frozen Chai,” she added. Holly emphasized the importance of training to a successful coffee shop start-up. “I would encourage a potential coffee shop owner to make sure to do their research and to get the proper training,” she said. We look forward to helping the Baileys grow Hometown Coffee and Tea in the months and years to come. To keep up with their latest happenings, follow Hometown’s Facebook page.